This very pretty pendant was designed and made by Jean Wilkinson. 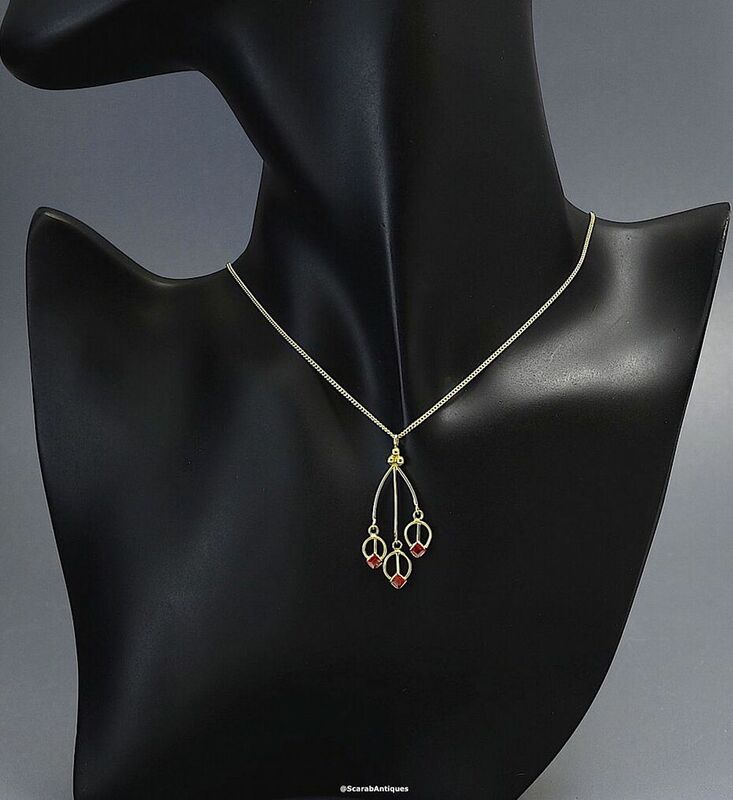 Know as Rosebuds the top of the pendant consists of 3 18ct yellow gold spheres arranged in a triangle from which emanate 3 18ct yellow gold wires. At the bottom of each wire is an 18ct yellow gold wire rosebud set with a square orange garnet that has been set on the angle. 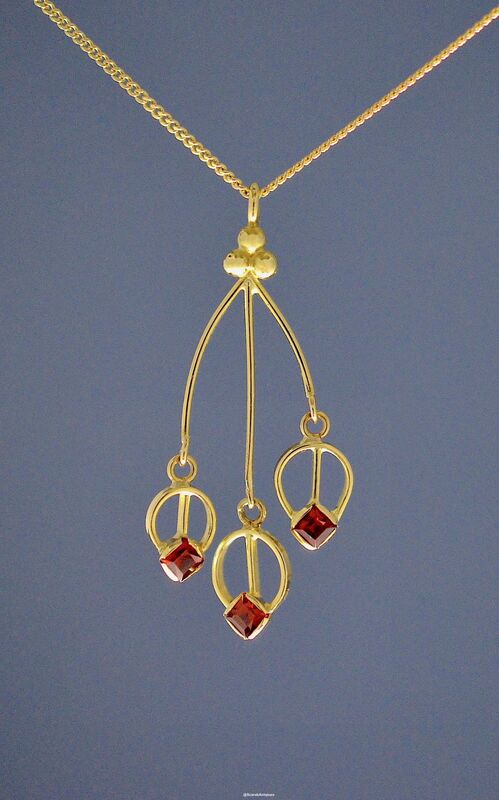 The pendant hangs from a fine 18ct yellow gold chain.